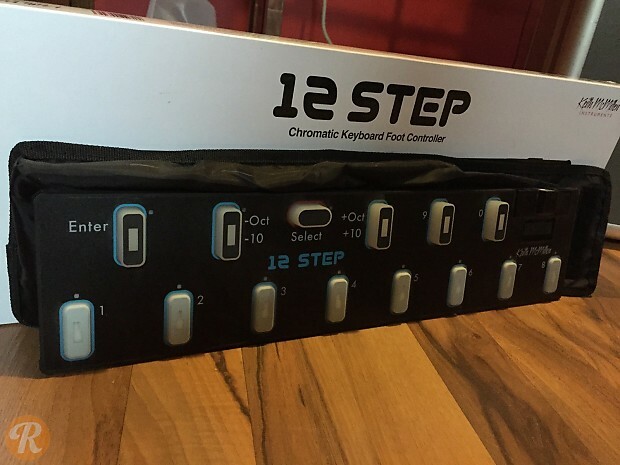 The Keith McMillen 12 Step is a chromatic MIDI foot controller. It features expressive triggers, five note polyphony, and USB connectivity. It can be expanded for MIDI I/O with an aftermarket accessory.